350 H/R Welfare Van . Transit 350 Lwb high roof welfare van . One owner which was Garic Ltd who possibly build the best welfare vans. This van comes with 7 seats and seating table , heated front screen, Eberspacher night heater , hot and cold water , toilet and hand dryer , microwave. Ideal for a camper conversion or used as a welfare van. Px welcome and excellent finance rates available. 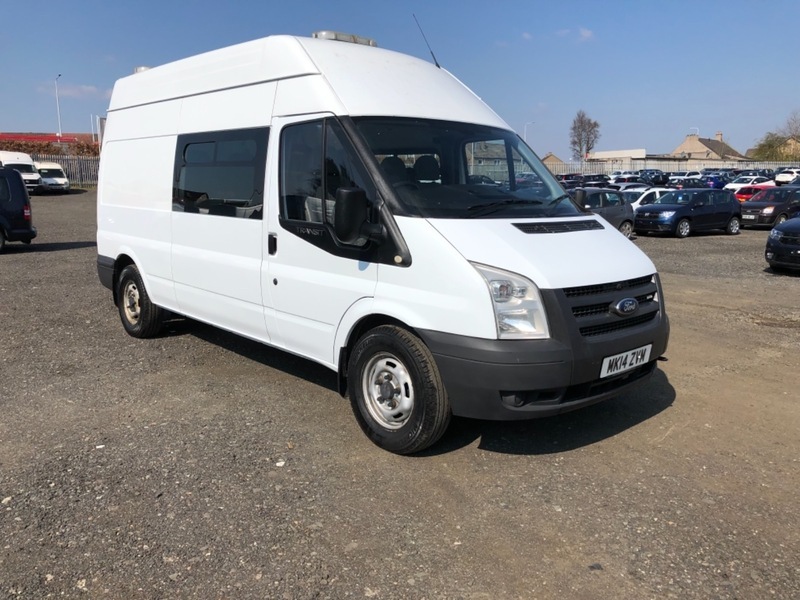 I would like to make an enquiry about your 2014 Ford Transit 350 H/R Welfare Van .